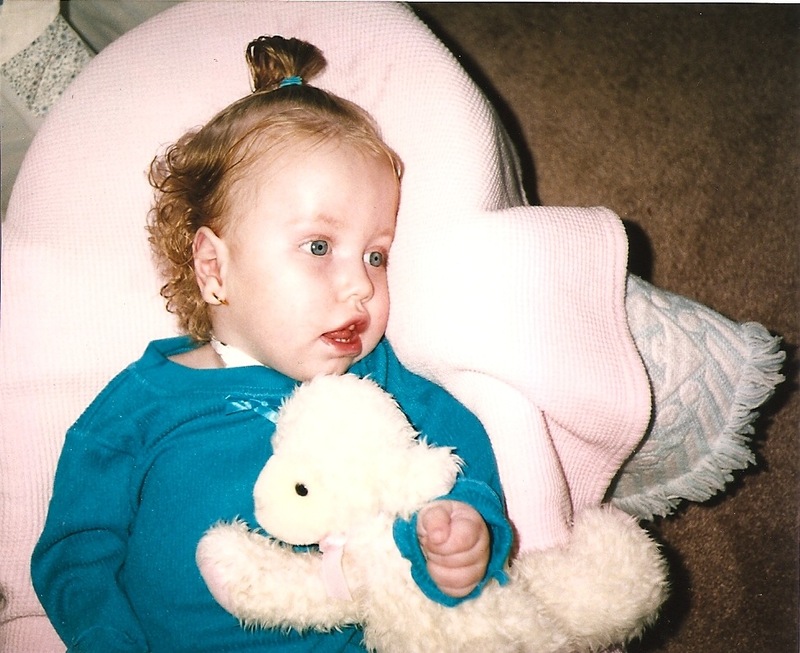 On May 14, 1996, after 30 hours of labor and an emergency c-section, Alexis Grace was born and promptly stole our hearts. She was gorgeous, with Jessica’s curly hair and brilliant, blue eyes. We never dreamed of how deeply and instantaneously parental love would flow. We also never dreamed we would have to face all of the shock and horror of those initial days, months, and years with her. Upon her birth, sweet Alexis entered a world of suffering. Brain damage, a seizure disorder, and multiple health deficiencies caused her life on this side of heaven to be a horrific mixture of doctor appointments, surgeries, potent medicine applications, and 24-hour health care. She spent her first seven weeks in the neo-natal intensive care unit, and then had to undergo the insertion of a tracheotomy. Sick with pneumonia nearly every month of her life, and undergoing seven different surgeries, Alexis faced more pain and trauma in her three years of life than most of us will ever face in ours. She was an angel who touched the lives of everyone that contacted her, and after she died, eight nurses, a family doctor, and two of the leading pediatric specialists in the Pacific Northwest attended her funeral. Adam lived and died in the Garden of Eden and then he began to live again. That’s been true for Jessica and me as well. We feel like we’ve lived, died, and, finally, have begun to live again. And that’s our prayer for you in your painful situation, that God would take what appears hopeless and unnecessary and transform it into something brilliant and beautiful. He certainly did that in the time we had with Alexis Grace, and despite the grief of your personal heartaches and losses, He can do it for you as well! (To hear more about Alexis’ story and our journey to reconnect to life after profound loss, check out my book, Praying Through Sorrows. Free copies are also available in our Grace Church services). The timing that God has never ceases to amaze me. It was so brave and courageous of you to share something so deep…but trusting it was needed. I am in a personal situation where I know your book will be of much healing to a family. Thank you for all you do. God continue to pour His word and blessings on you. Robyn, thank you for taking the time to comment on this. Thank you for your encouragement 🙂 God bless you! Chris, I’m very grateful of your openness and willingness to share the battle that you, Jessica, and Alexis faced together. She is SUCH a precious child. I can’t wait to meet her in person. Thank you for you are and the encouragement you continue to share with everyone. I also appreciate the healing I’ve received by knowing you and being a part of such a wonderful family at Grace Church. Tony, you’re the best! Love you so very much! I saved this back in October because I wanted to read it later. Well, it is January 2015 and I finally opened it. Life changing events take us to the deepest sorrows and highest joys. Only time spent alone with God can make sense out of such things. Thanks for taking us on the journey with you.